Dibangun pada tahun 2009, Yufuin-bettei Itsuki Ryokan adalah pelengkap nyata untuk kota Yufu dan sebagai pilihan yang cerdas bagi para wisatawan. Dari sini, para tamu dapat menikmati akses mudah ke semua hal yang dimiliki oleh kota yang aktif ini. Karena lokasinya yang strategis, properti ini memiliki akses mudah ke destinasi yang wajib dikunjungi di kota ini. Yufuin-bettei Itsuki Ryokan juga menawarkan berbagai fasilitas untuk memaksimalkan pengalaman menginap Anda di Yufu. Sejumlah pilihan fasilitas kelas atas,seperti WiFi gratis di semua kamar, fasilitas untuk tamu dengan kebutuhan khusus, penyimpanan barang, Wi-fi di tempat umum, tempat parkir mobil dapat dinikmati di sini. Nikmati fasilitas kamar berkualitas tinggi selama Anda menginap di sini. Beberapa kamar memiliki televisi layar datar, pintu masuk pribadi, televisi dalam kamar mandi, handuk, akses internet WiFi (gratis), yang disediakan untuk membantu Anda mengumpulkan tenaga kembali setelah beraktivitas seharian Properti memiliki berbagai pilihan fasilitas rekreasi yang memungkinkan Anda melakukan bermacam hal selama menginap. Temukan perpaduan menarik dari pelayanan profesional dan sejumlah fasilitas yang ada di Yufuin-bettei Itsuki Ryokan. Anak-anak berusia di bawah 6 tahun dapat menginap gratis jika menggunakan ranjang yang tersedia. Permintaan untuk makanan atau Futon Jepang akan dikenakan biaya tambahan sebagai berikut. Tamu berusia di atas 12 tahun dianggap sebagai tamu dewasa. Biaya anak harus dibayarkan di hotel secara langsung. Silakan menuliskan informasi di bawah ini pada bagian "Permintaan Khusus" pada saat memesan. Bagi tamu yang memesan kamar dengan paket 3 kali makan, maka makan siang akan disajikan setelah pukul 12:00 pada tanggal check-out. Apabila tamu lebih menginginkan makan siang pada tanggal check-in, silakan memberitahu properti terlebih dahulu. 2nd stay here after 2 years, the experience is still great. 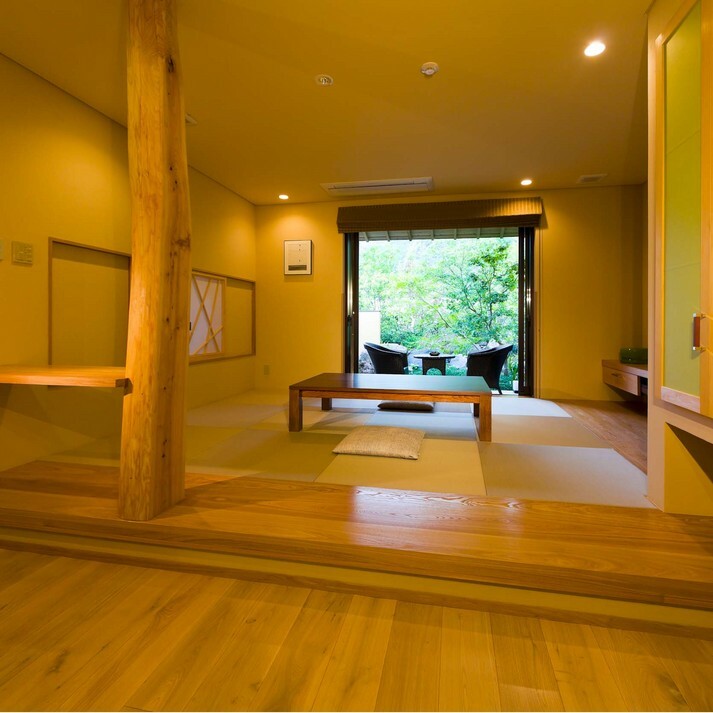 The house is modern and spacious with indoor and outdoor private onsen. Must book their dinner. Not only Ryokan but also hotel, it was best in my life. Even dinner also was better than other restaurants in Japan. Travel with family, but not kids. Or it’s better to say that I’m the kid... We spent 2nts at the property. The service was great. They asked every detail to make us feel comfortable. I was very delighted to stay there for their facilities,high-quality service and tasty cuisine. The dining experience was great! Nice view with private dining area, seasonal different cuisine, and you can choose Japanese or Western style ABF. The only thing I may concern is that Karin does not have enough privacy due to lack of fence. When having he outdoor Onsen might be seen by passengers. And hair was found in the towel, for refresh above the microwave. The best experience I could have in Yufuin town. The place has an excellent location away from the bust street yet close enough to stroll to the famous lake and shopping street. Staff are well trained for top service with good conversational English. My most famous feature in the hotel is its indoor and outdoor onsen baths in the room. The meal is super delicious, highly recommend! The staff is very nice, even tho their English is limited. Appreciated their good service! All staff are very friendly and detail-minded. Nice environment with good food. Private room for dinner and breakfast with beautiful gardening view. Thank you for your excellent service! It’s so close to Yufuin but located in a very quiet area. Nice indoor and outdoor in-room spas. Nice view, nice food and nice hospitality. Just love it so much except some inconsiderate visitors with loud speaking voices which really killed the silence. The room is big & comfort, the restaurant & other hotel outdoor area is very beautiful too! The food is great & over my expectation. Most important is, the staffs are great! very polite & cheerful, the staffs will remember your preference then you don't need to request again. I'm highly recommend this hotel. Room is spacious and good for travel with kids. Very enjoy and relaxing with 2 private hot spring baths. Modern style and cleaning hotel. We occupied six rooms and each room has different style and feature. Food and presentation was very beautiful. We would like to thanks Masai who provided a good service and good entertainment with our young kid. First of all, everything is so beautiful! we were so fascinated with its fantastic interiors- the lobby, room and outdoor hot spring tub, dining room, and all the details. Especially, the dishes were so beautifully decorated that I felt like I was dining at a luxury finest restaurant. Of course the taste was the best ever! Needless to say, the staffs are very kind and helpful. I deeply appreciate that they tried to arrange a room upon my request although I changed my mind a few times. Actually I suggest that that you do some research on the rooms in advance as each room has different themes. Lastly, the outdoor hot tub was amazing. We stayed at room YAMAMOMO, and its wooden framed hot spring tub was very spacious and so beautiful. We especially loved that it allowed to control the water temperature very easily by turning the hot and cold water faucets at the same time. Actually, it was my first trip to Japan, but thank to Itsuki, now I can't wait to revisit Japan! Hotel staff is very friendly and caring. The entire environment and staff is very child friendly. We had a great time here. Will definitely coming back and recommend this place to our friends and family. One of the best staying experience in Japan so far. 10-15mins walk to JR, actually felt closer than that due to the relaxing surrounding, taxi 5mins to jr under 1000yen. Great accessible location without being too close to the center. Great reception, felt welcoming. House size LARGE and CLEAN, great for family stay. Nice dinner and breakfast. Compliment to the dinner and breakfast serving staff (sorry didnt get his name, he was wearing glasses) tried his best to explain dishes, very well done! Highly recommended. Will definitely return again with my family! It was so glad that this hotel is chosen for this stay. Staffs are so helpful and nice. The house is so decent. I really enjoy the hot spring in the house. The dinner and breakfast in the restaurant is also great. A bit pricy but definitely worth the money. The location is about 5 minutes by taxi from the Yufuin Train Station...about 700yen. Located around 10 minutes walk from Lake Kirin & famous shopping street. 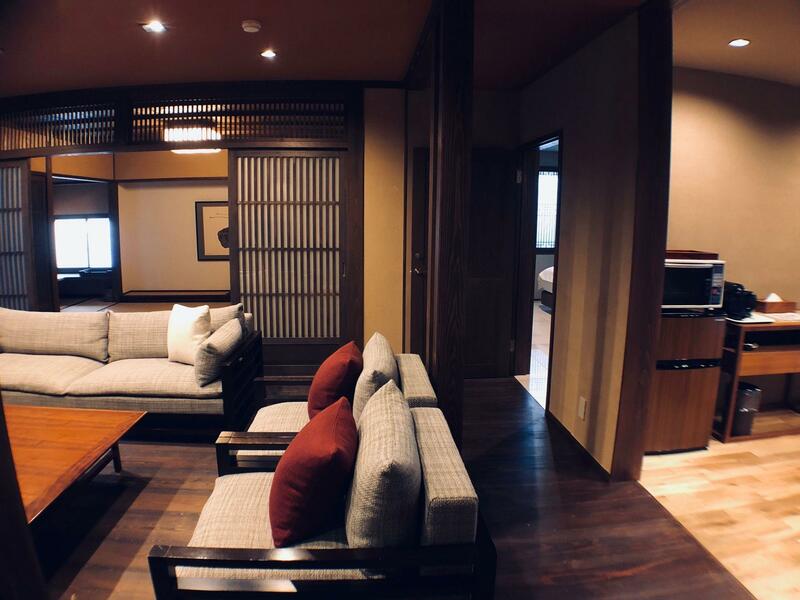 The room is actually a villa with tatami area, 2 Onsen, bedroom & bathroom. We stayed in the Karin villa which is very well designed. The breakfast & bungo steak dinner are a must...very very delicious. The staff are all very helpful. The staff reserved the famous B-Speak rolls which sold out fast for me to pick up. Really appreciate that. They even invited us to watch a traditional show performed by local children. Best hotel we have ever stayed. They offered a complimentary cake for our wedding anniversary which was a nice touch. Would give a 10/10 if they would arrange our dinner in a private room rather than the dinning area in reception which seems not appropriate for a proper meal. 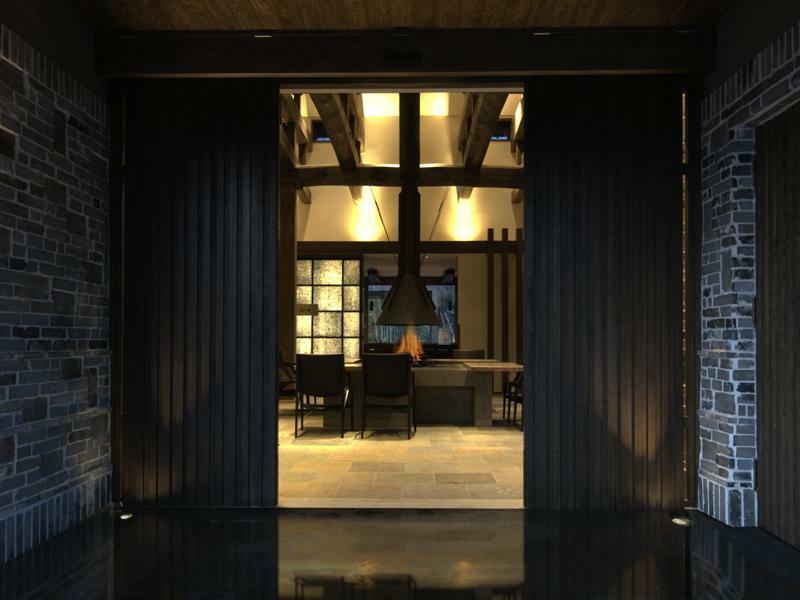 The Ryokan is pretty new and clean with modern Japanese design. There are a indoor and a outdoor Onsen which was a very good experence or our 2 years old kid. 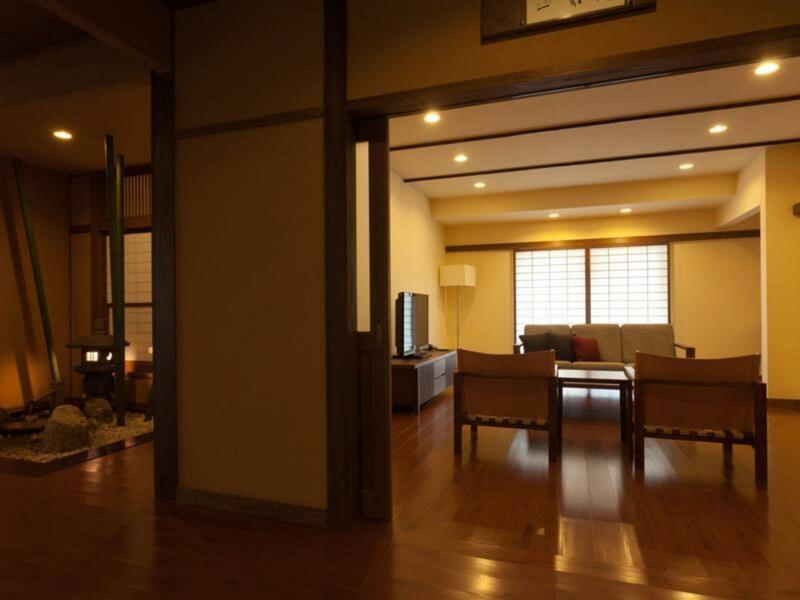 The Whole house is kinda big with a living room, tatami area and a separate bedroom, the gardening is also nice and well maintained . I informed hotel that we were celebrating our 10th wedding anniversary and our child's birthday there in advance, they arranged a very nice cake for us right after we finished dinner. What a surprise! We enjoyed our stay very much. I will give 9.5 points for this hotel. Hope they can add some facilities for kids in future.